refugee resettlement | Finding delight. In the spirit of the holiday, I wanted to share an idea with you all in case you’re looking for a way to give back this Christmas. Imagine arriving in a new country with a few suitcases and a whole family looking for a new start. Organizations that assist with refugee resettlement are always looking for donations of household items for the families they help. Reach out to one in your area. 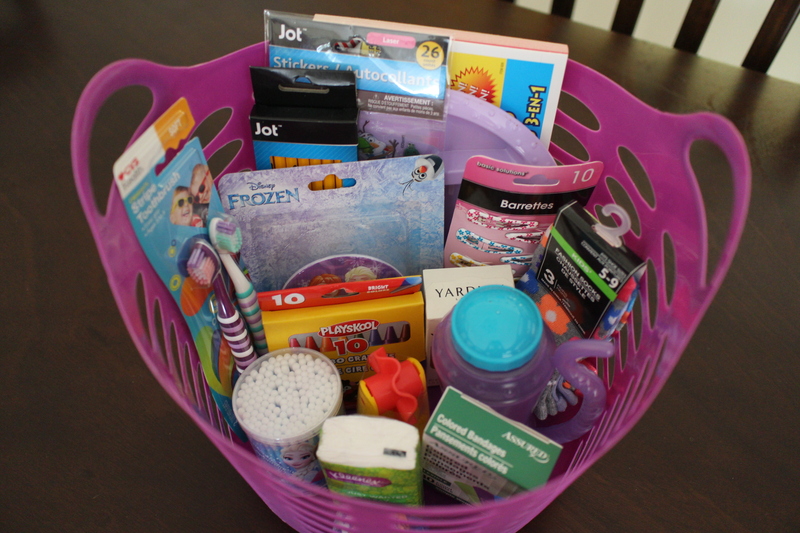 Many accept “baskets” that you can create with a number of items to help a refugee family get settled in their new home; such as a Kitchen Basket (with cutlery, coffee pot, etc), Cleaning Basket (with cleaning supplies), Hygiene Basket (with personal care items), or Linens Basket (with towels and blankets). 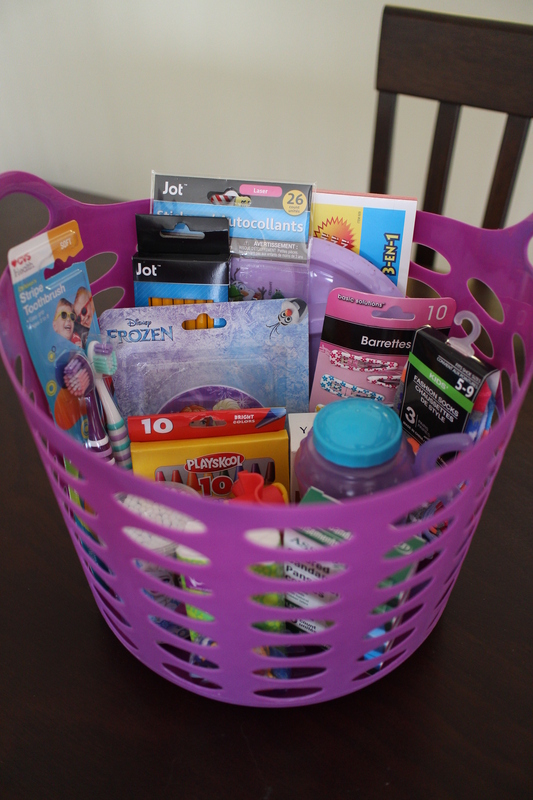 However, if you know of a specific family, either through the resettlement organization or your church, why not create Welcome Baskets for all the kids? This is an awesome alternative to Operation Christmas Child (a popular way to give back during the holidays that’s also, in my opinion, a little sketch and misguided). Shopping for children is a lot of fun, and shopping for children who recently arrived in our country with little can make a BIG difference. First, consider the ages of the kids you’re shopping for. Next, make a list of a few items to hunt for. You’ll want a mix of practical items and fun stuff you think would make them feel more welcome in their new home/country. Finally, hit up stores like the Dollar Tree, CVS, and Target for affordable finds. 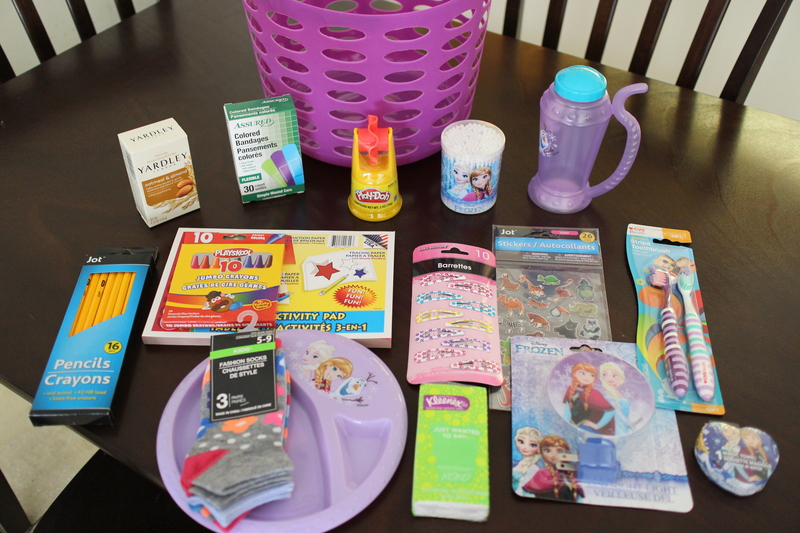 If you’re making several baskets you can stop here (all of these items were under 20 bucks), but since I’m only putting together a couple, I’ll probably also include a doll/stuffed animal, a coloring book, and a pillow with a set of pillow cases. For older children you could fill a backpack and include more school supplies!